Can Ted Nugent Save The GOP From Donald Trump? 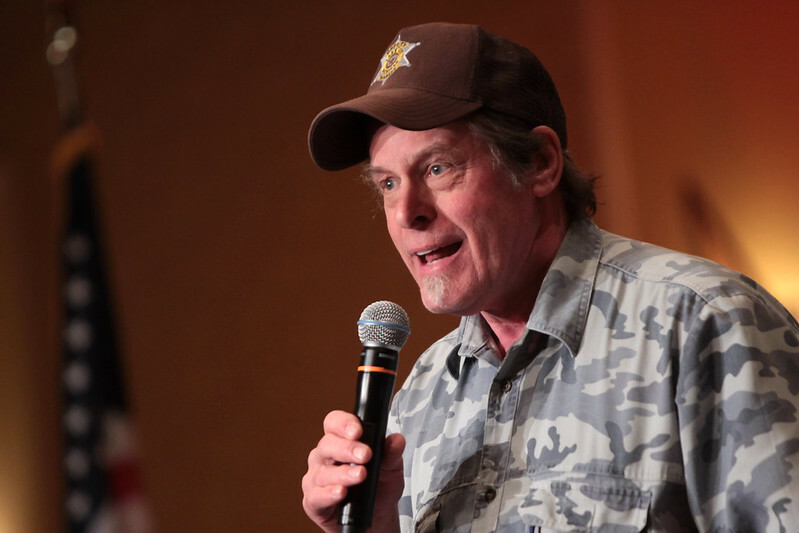 Can Ted Nugent Save The GOP? Donald Trump’s campaign has been steeped in racism from the very beginning and has become synonymous with the very worst of bigotry that continues the plague the country in the early years of the twenty-first century. His campaign rallies have come to resemble some surreal post-apocalyptic dystopian science fiction movie, with some speculating that it is just a matter of time before someone – or some group of people – gets killed. The GOP is in panic mode, fully expecting to lose control of the Senate as well as numerous seats in the House as a result of Trump’s campaign rhetoric and theatrics. Many high-profile conservative leaders and financiers are reportedly considering breaking with the Republican Party in the event Trump wins the nomination – which seems all but assured now. The Hill reported in February that the Koch brothers want to stop the bigoted billionaire. There is also talk of conservatives running a third-party candidate against Trump to insure his defeat in November, if it comes to that. With all that in mind, we would like to suggest that conservatives look to Ted Nugent to serve as their “fly in the ointment” to the Trump campaign. It could work. If anyone can out-bigot Donald Trump and appeal to his mindless racist base it’s Ted Nugent. There’s his staunch advocacy of hunting and gun ownership rights. He’s a board member of the National Rifle Association and for those who like mediocre 1970s guitarists, he’s released more than 34 albums and has sold a career total of 30 million records.